Every day, thousands of thoughts zip through your head, and what makes you productive (or not) is how you act on those thoughts. Do you find yourself lost in your thoughts and unable to act on any of them? If so, what you need is a way to visualize them in an actionable way. These thoughts or ‘inputs’ come from various sources like your phone calls, meetings, email, and even random conversations with your friends and colleagues. Every time an input comes, you have to act on it in some way or the other. Now, think back and remember a time when you felt that you were really busy without actually doing anything for the whole day? Most people do, and that is because you already have an internal inbox in your head. In fact, even if you think that you do not have an internal inbox, you may actual have several of them all filled with piles of unread and unprocessed inputs. If you cannot define what your inbox looks like and how it functions, you will just end up with a pile of thoughts in your head that are impossible to decipher and act on. 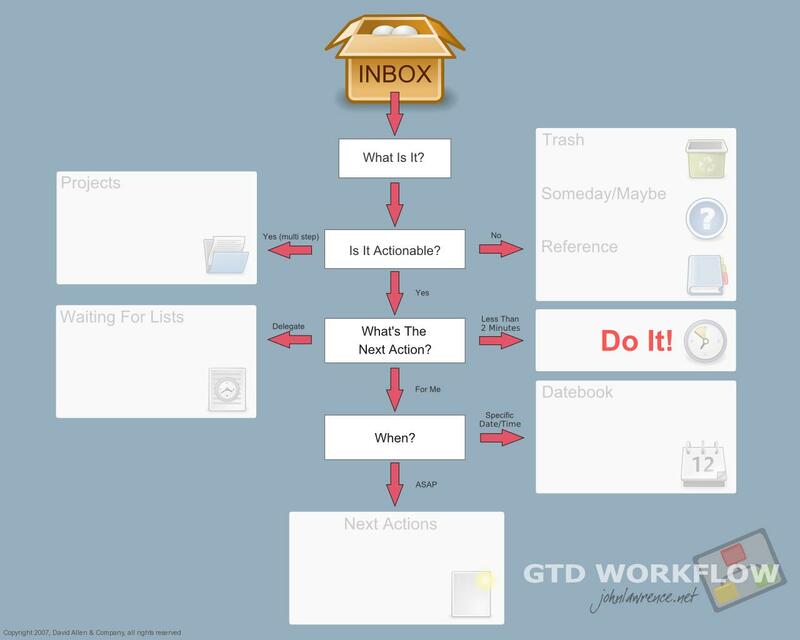 In order to define your internal inbox, think of the places where you normally store things. Do you store them in some or all the following areas? All these places may have items waiting for your attention. Similarly, your mind is also filled with undefined inboxes with inputs waiting for you to act on. This is why you feel exhausted all the time. A single well-defined inbox can seem like a hassle, but it actually simplifies things and unclutters your mind. It makes it easier for you to go through various inputs and categorize them. The benefits of a well-defined inbox can be seen in real life as well. For instance, you can store the various items that you need to review in a physical “inbox” in your home. At the end of the day, you can sift through that “inbox” and identify the things you need to do. It helps to organize your life and it is a great alternative to searching for things at the last minute. What type of “inbox” system do you use to keep yourself organized and your mind clear? Comment below. I use IQTell. I have to make sure everything is in there (besides tasks that I will automatically be reminded of). I instantly feel better when I’ve collected all my tasks. I like the inbox analogy for the mind. Thanks Melanie! I will have to take a look at IQTell.